Overcome procrastination. Find balance between work and leisure. HT Facebook Blocker will help you defeat distraction. 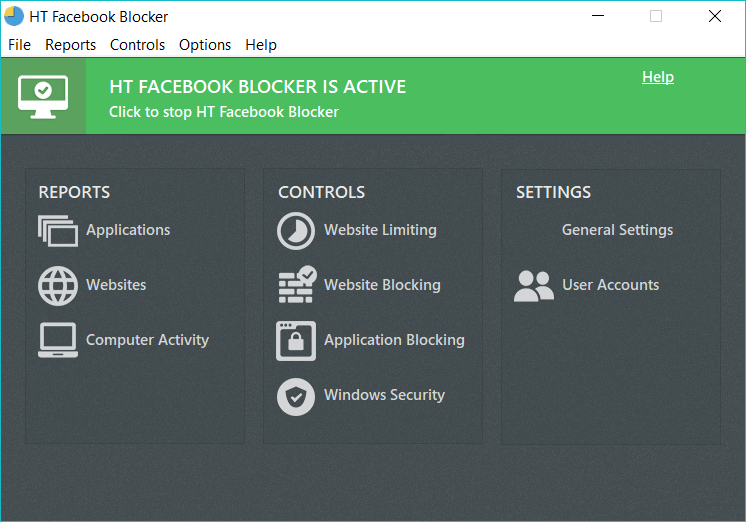 Block or time limit social media sites, non-work related websites, control apps and games, block inappropriate content, schedule work and entertainments, and much more with HT Facebook Blocker. View detailed reports of websites and applications to find where you waste your time and limit those activities. So that you can concentrate or get rid of distractions when you’ve got a job to dodo. Daily limits help you make sure you don’t spend too much time on certain activities. Use the included lists, or create your own by adding an unlimited number of websites. Install HT Facebook Blocker and use your computer time most efficiently!